I started the Scotty Dog, but have mainly been focusing on a new sewing project. 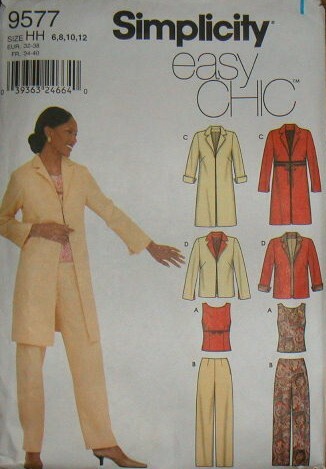 I'm making this cute jacket using Simplicity pattern 9577 and the red Oriental toile I got a long time ago. I'm making the short jacket with a ribbon trim closure. I had cut the pattern out sometime this summer and it's just been sitting there on the floor. Cutting out lining pieces plus interfacing, was holding me back. I finally decided to just get on with it Saturday. All I've got left is the hem.